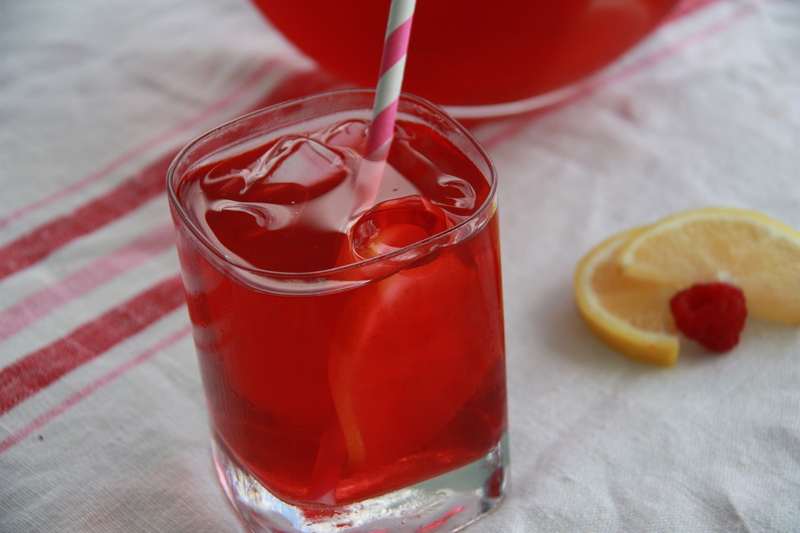 A refreshing and pretty beverage that is perfect for a hot summer day. Bring the water to a boil in a kettle. Pour water into a heat proof pitcher. Add the tea bags and ginger and leave to steep for an hour or so. Remove the tea bags and ginger and add lemon slices and lots of ice. Refrigerate. Once the drink is cooled, add agave syrup, a little at a time, depending on how sweet you want it to be. Serve in glasses with lots of ice and lemon for garnish and if you have any berries on hand you can toss in a handful too. Instead of agave, you could use passion fruit juice.